If you are looking for a tour with a difference, then Tony’s Tour will be just for you. This tour will show you a side of Bali that is at the moment pretty much untouched by westerners. 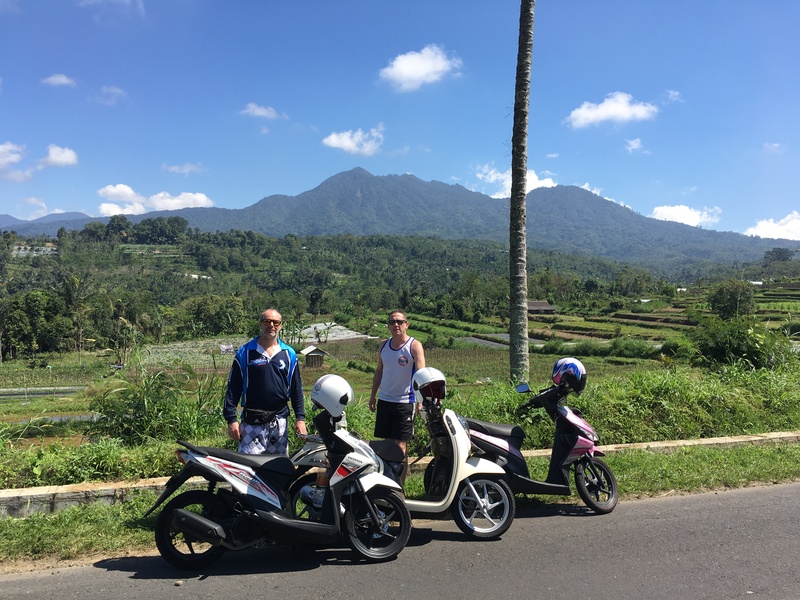 Traveling with your guide by scooter, you will experience the sights, sounds and smells that bring Bali together. Including having the experience of seeing local people in local villages at both work and play, the sounds of everyday life in a village away from constant cars and traffic jams as well as the amazing aromas as you pass the local warungs cooking up sate, the fresh flowers as you pass the fields. First you will start at Bongkas village then we ride to Carang sari and the Petang village. Pelaga village has the highest bridge in Bali which is called Jembatan Bangkung. You will keep riding to Tambakan, and on the way you will see a stream that actually travels uphill !!!!!!!! (pretty amazing to see !!!!!) and end up at the Kintamani volcano for lunch. Once lunch is over you will travel back through the villages and stopping at the Nunung waterfall. This waterfall is amazing to see but it’s a bit of effort to get threre. You will have to have a minimum level of fitness as there are a few stairs down to see the waterfall and of course these same stairs back up again……….. Then back to where you started at the Bongkas village. This is an experience that money can’t buy, get in quick before it becomes well known and open to all westerners. You will not be disappointed.